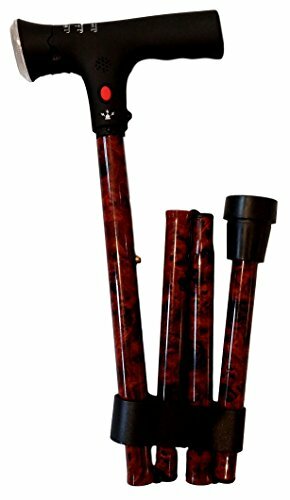 Unique design fold-able cane with flashlight and hazard lights, convenient and classy! 4 Angled built-in flashlight (3 modes, regular, extra bright and off). Durable aluminum construction with walnut finish with adjustable height. Between 33" - 37"